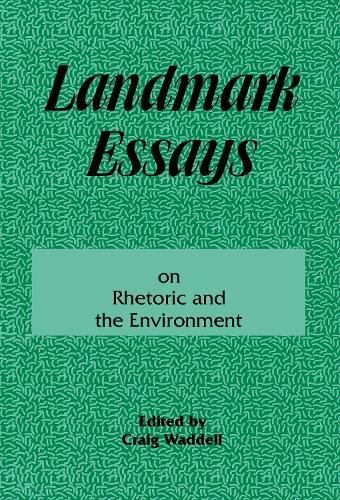 This volume presents some of the best essays yet published on rhetoric and the environment. The collection should appeal to an interdisciplinary audience, including those interested in rhetoric, especially rhetoric of science and/or the environment, environmental studies, and modern American history studies. It should be appropriate for use in graduate or upper-division undergraduate courses in any of these areas as well as by scholars working in these areas. With the exception of the first and last chapters -- which serve to frame the rest of the collection -- the essays are arranged chronologically by the date of the events, texts, or developments they analyze. In this way, the volume can more easily complement or be complemented by such histories of the American environmental movement as those of Fox, Hays, and Shabecoff. The editor's introduction describes his exhaustive selection procedures, provides a brief summary of each of the 11 essays, and suggests directions for further research.